Submitted by Migrate Wizard on 2015-02-05 16:16. 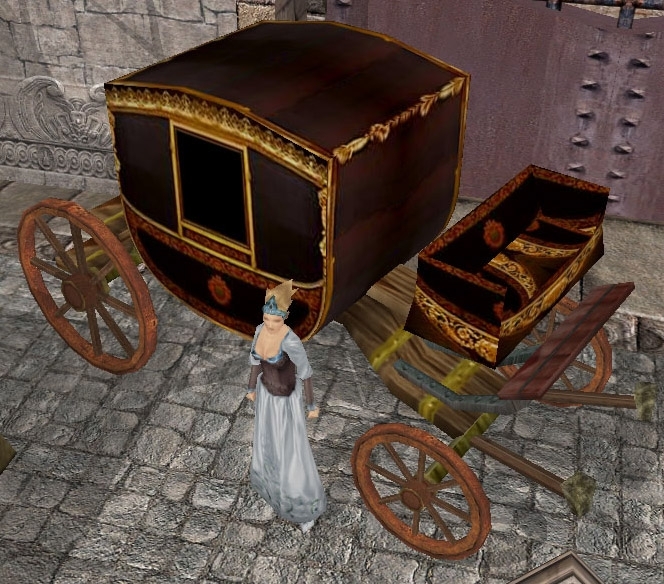 A carriage placeable as seen in Threat of Dreams - The Hunger and the Sickness. The carriage has animations for rocking when hit and splintering when destroyed (sorry, no moving animations). Also, there is no portrait for it either. Just thought I'd put it in its own hak for general use if people want to use it.